The NIH has recently released a request for information (RFI) on the use of preprints and other interim research products. We encourage all interested parties to respond to the RFI using the submission website by the deadline of December 9th (extended from November 29th). ASAPbio’s draft response is posted here. Even if you completely agree with our draft, we encourage you to submit your own responses as well. A large number of responses will be critical in conveying a strong message of community interest in preprints and other interim research products to the NIH. Responses from individual scientists at all career stages are encouraged. You do not have to respond to all questions, and the responses can be short. If you would like to share comments or your own response to the RFI, please use the comment section below the post. 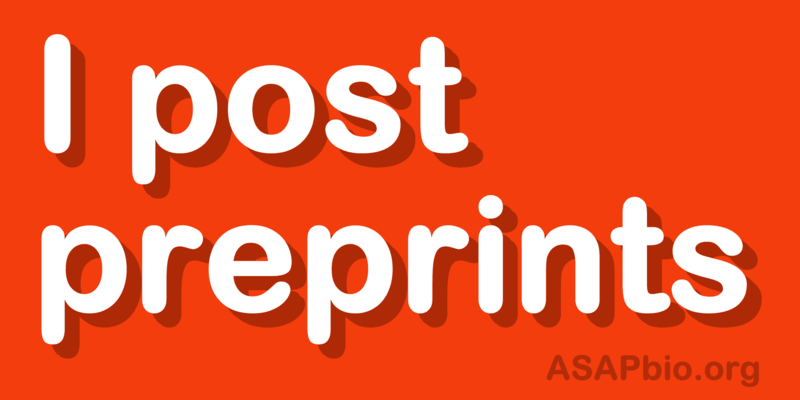 Today, Crossref, the organization that assigns DOIs for journal articles, launches their preprint service! The service will offer a specialized content type for preprints, enabling them to be linked to their corresponding journal article. This development will make it easier for preprint servers and journals to display links (backwards and forwards) between different versions of the same article, and it will facilitate pooling of metrics, citations, etc between the versions. This is a landmark in the development of preprints as an integral part of the scholarly literature. How many life sciences preprints were posted in September 2016? Which journal now has Preprint Editors? Which funder is requiring preprint deposition? And which med school accepts preprints in tenure packages? We’re now tracking the growth of preprints in the life sciences as well as new developments in funder, university, and journal practices and policies regarding preprints. You also can now view all of these newsletter posts (including this one) on the web. Finally, we printed stickers (below) to help create visibility and spark conversations about preprints. Just fill in the form at asapbio.org/stickers to request some!